Last Year, Reading Rainbow Raised $5.4 Million on Kickstarter. Then, the Real Work Began. When LeVar Burton and his team launched a Kickstarter campaign in the spring of 2014, the focus was simple: to raise enough money so that Reading Rainbow, the educational TV show loved by children of the ‘80s and ‘90s, could be reborn for the digital generation. The raising money part turned out to be easy -- the crowdfunding campaign blew past its initial $1 million goal, collecting a total of $5.4 million. What Reading Rainbow’s COO Sangita Patel didn’t fully realize at the time was the fundraising was simply the beginning of a long journey, one that would involve hundreds of emails, dozens of sleepless nights and one exploding UPS truck. The hard work began immediately after the crowdfunding campaign ended. Reading Rainbow had broken the record for the most individual backers on Kickstarter, raising money from more than 105,000 people. (Since last summer, the Exploding Kittens card game has surpassed the Reading Rainbow campaign’s record of most backers.) On one hand, it was exhilarating and inspiring. At the same time, it was a lot of mini-investors to make happy. In exchange for donations, the Reading Rainbow campaign offered a wide variety of rewards, from tote bags and t-shirts to signed headshots and in-person school visits from LeVar Burton, Reading Rainbow’s host. Patel was in charge of making sure all of these promises were fulfilled. The responsibility quickly took over her life. 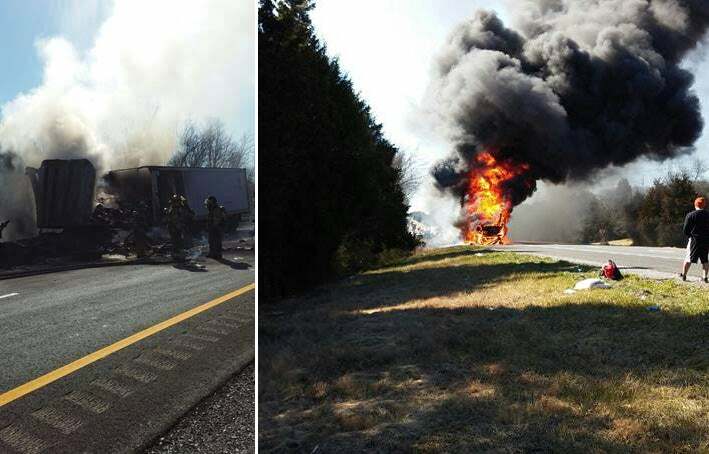 On top of the known challenges inherent in delivering each award to the correct backer, she had to contend with countless unpredictable detours -- like when a UPS truck carrying 121 Reading Rainbow donor packages burst into flames after an accident that was, luckily, nonfatal. The exploded UPS truck that was carrying Reading Rainbow Kickstarter campaign rewards. “I have had a lot of sleepless nights over the past year,” Patel says. Managing the logistical challenges of fulfilling the rewards of the campaign was an unforeseen challenge, to be sure. The Reading Rainbow team was motivated by the tremendous outpouring of support from the public and an unwavering dedication to the cause of children’s education. The campaign itself was born out of Burton’s desire to relaunch the Reading Rainbow iPad app he had created three years prior. He wanted to make the experience more interactive and accessible -- not everyone has an iPad, after all -- which eventually led to the crowdfunding campaign. Skybrary, an interactive digital library with more than 500 titles, was the first Reading Rainbow product developed with money raised on Kickstarter. Available on the web, iPad, Kindle Fire and Android, it builds on the original Reading Rainbow iPad app by adding a layer of interactive digital animation that helps kids connect with and understand what they’re reading. New features include video field trips, audio guides and memory games. While the campaign raised millions more than its original goal, spending the entire $5.4 million was easy. A large chunk went to paying everyone involved in developing Skybrary, says Patel, and a significant percentage was spent fulfilling the rewards promised to the campaign’s backers. Between 8 and 10 percent automatically went to Kickstarter and Amazon to cover service and credit card processing fees. The remaining money was used to make Skybrary available to as many underserved classrooms as possible, says Teri Rousseau, president of educational services at Reading Rainbow. A one year subscription of the Reading Rainbow Skybrary for a single classroom costs $179 for up to 35 students or $1,450 per school for up to 350 students. Schools have to apply, but with the money raised on the Kickstarter campaign, the Reading Rainbow Skybrary school program will be gifted to as many as 10,000 classrooms in need. The current “beta” version of Skybrary is being pilot tested in a few hundred classrooms in a small group of schools as the team collects user feedback. Reading Rainbow has not started actively marketing the software, but educators have started proactively reaching out wanting to buy the software, says Rousseau. If the educator who reaches out is from a Title I school, a designation for schools with a high percentage of children from low-income families, then Reading Rainbow will automatically gift the software to that school. Over the summer, Reading Rainbow beta tested Skybrary in 30 classrooms. The team received thank you cards from grateful students. These notes became Patel’s anchor; whenever she encountered a new logistical problem or received yet another email from a dissatisfied campaign backer, she found strength in the knowledge that she was making a difference in kids’ lives. “That was the only thing that kept me going,” she says. 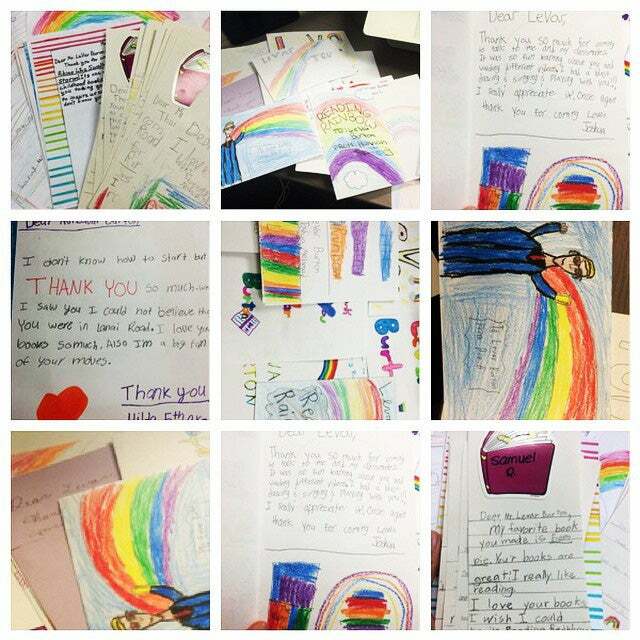 Thank you notes that the Reading Rainbow team received from children using the Skybrary pilot program over the summer.